Archived: Oyster Bay Railroad Museum – History, Education, Preservation and Fun! The Oyster Bay Railroad Museum needed a video to show at educational seminars and presentations. It needed to be informational, but also highly engaging. 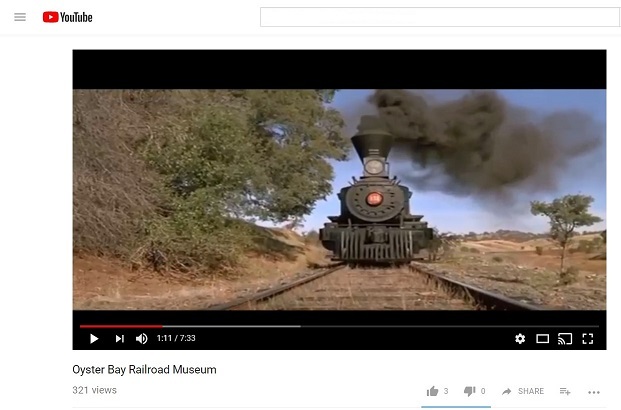 Larry Eisner and Wendy Goldstein produced a video that wove together local history including Teddy Roosevelt’s impact on the area, the history of rail travel, and the Museum’s educational and historic preservation programs. This video is present on YouTube, but is taken around by Museum spokesperson’s on a portable drive that can be used on any USB compatible computer or projector. * please note, the file size of the video exceeded the file upload size limit, but a Project File was required, so we’ve attached a screen shot. The direct link to the video is provided in the Project URL.